We recently discovered this Camden 7″ EP that might very well feature an overlooked Flora cover. 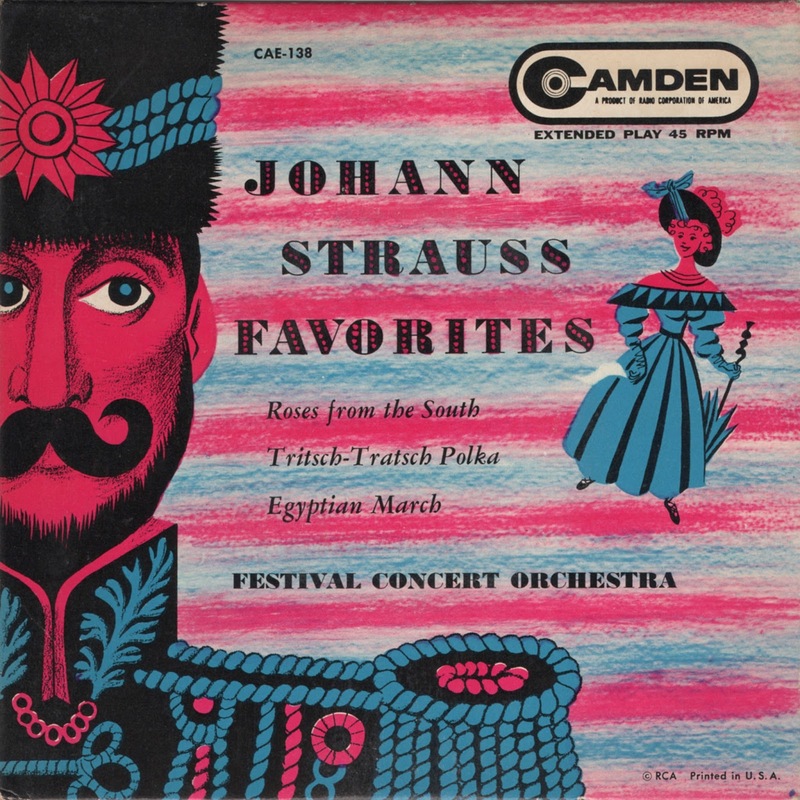 The catalog number, CAE-138, dates the release to 1954, during which Flora designed 18 covers for RCA Victor, ten of them 7″ EPs for RCA’s Camden budget subsidiary (two of which were for the Festival Concert Orchestra, a generic name for an aggregate of stellar musicians who were under contract to other labels). Some were credited to or signed by Flora, others not. • The soldier’s eyes. It’s a Flora stare. • The soldier’s eyes. Flora was a primary exponent of fried-egg eyes. • The dotted fill in the typography. • The lady’s face has a Flora smile. • The lady is floating in mid-air. If it’s a Flora (as we believe), it’s hardly a top-tier Flora, but we’ll add it to the catalog. The Mischievous and Diabolic art of James Flora (1914-1998). Glimpses of rare works from the archives and news about Flora-related projects.